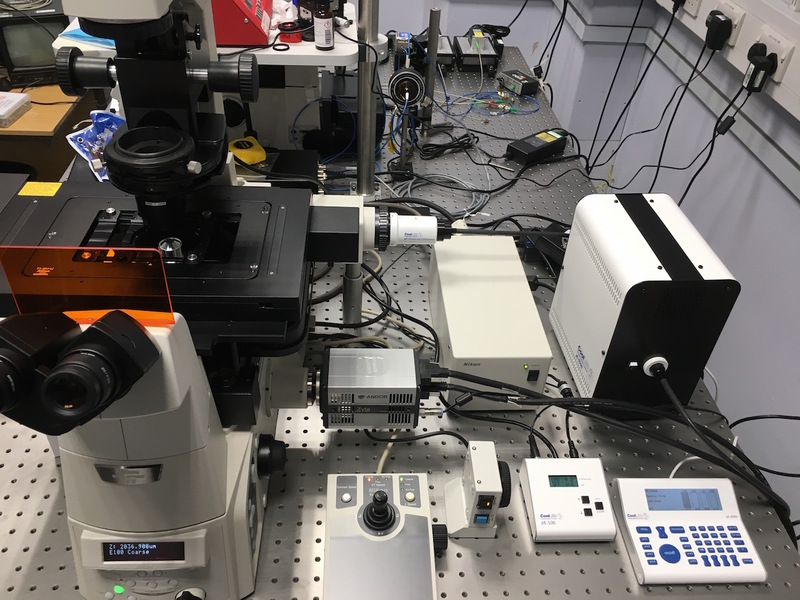 We just took delivery of a new, fully motorized Nikon Ti-E inverted microscope. How do bacteria use "grappling hooks' to move within biofilms? How do magnetotactic bacteria work? Drop us a line you are interested in joining the group as a research student or postdoc. Our group brings together ideas and tools from a wide variety of disciplines to explore fundamental questions in microbiology. Our work incorporates microfluidic experiments, molecular biology, automated image analysis, evolutionary game theory, and fluid dynamics. The small-scale phenomena we study affect a broad range of important processes including human infection, harmful algal blooms, biogeochemical cycling, and the bioremediation of pollutants.